Today is the birthday (1931) of Roger Penrose, mathematician, philosopher, and artist. I am a big fan. Some of you who read this blog regularly may wonder why I admire so many mathematicians; maybe this post will solve that puzzle. Penrose was born in Colchester on the east coast of England, and is the brother of mathematician Oliver Penrose and of chess Grandmaster Jonathan Penrose. Penrose attended University College School and University College, London, where he graduated with a first class degree in mathematics. While an undergraduate he was already doing original research which he continued at Cambridge, taking his Ph.D. in 1958. As a student in 1954, Penrose was attending a conference in Amsterdam when by chance he came across an exhibition of M.C. 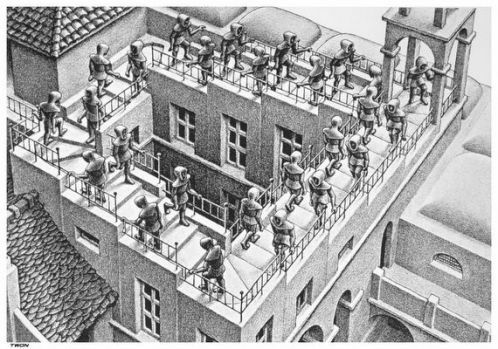 Escher’s work. 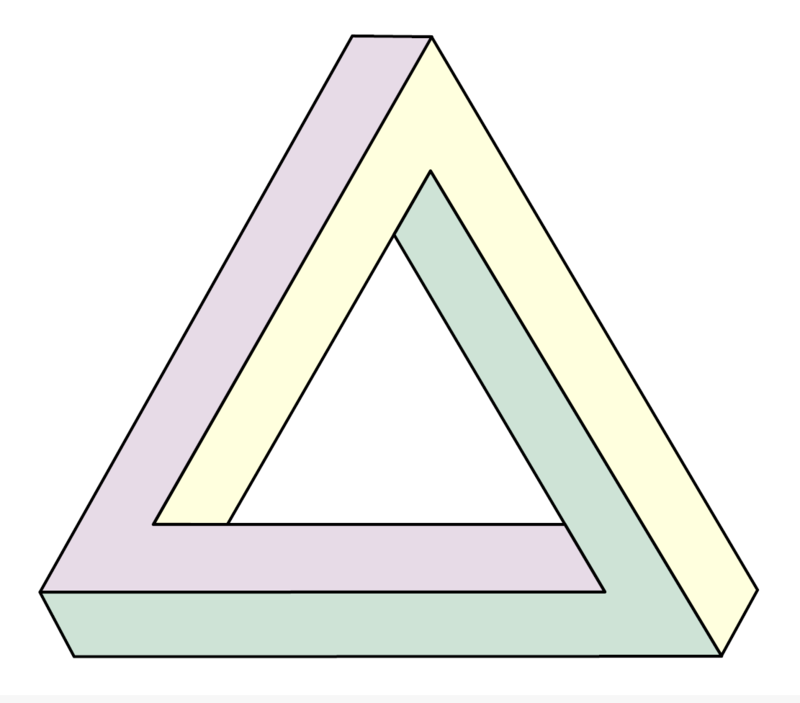 Soon he was trying to conjure up impossible figures of his own and discovered the tri-bar – a triangle that looks like a real, solid three-dimensional object, but isn’t. Together with his father, a physicist and mathematician, Penrose went on to design a staircase that simultaneously loops up and down. 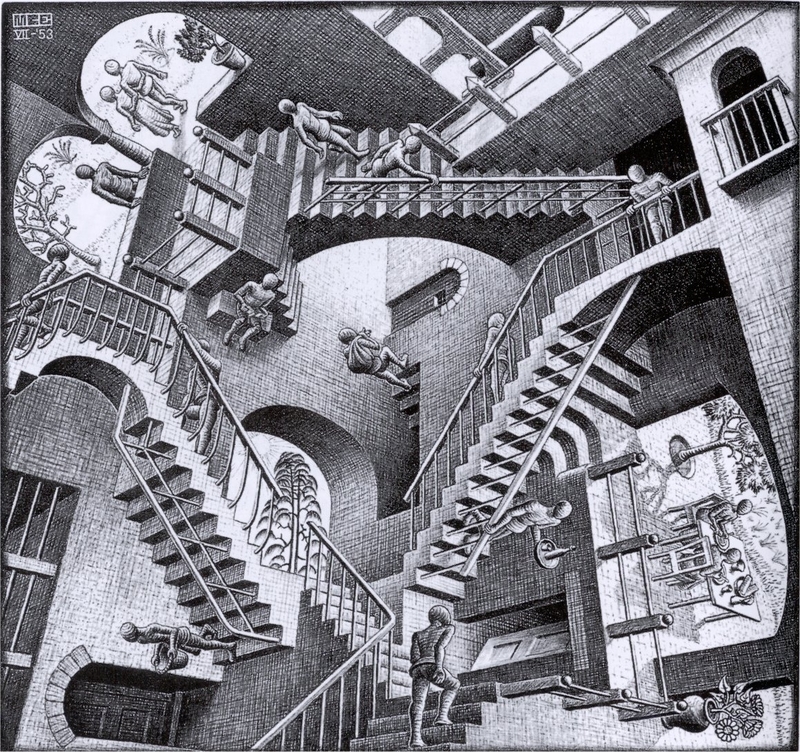 An article followed and a copy was sent to Escher. Completing a cyclical flow of creativity, the Dutch master of geometrical illusions was inspired to produce his two masterpieces. In 1965, at Cambridge, Penrose proved that singularities (such as black holes) could be formed from the gravitational collapse of immense, dying stars. This work was extended by Stephen Hawking to create the Penrose–Hawking singularity theorems. In 1969, he conjectured the cosmic censorship hypothesis. This proposes (rather informally) that the universe protects us from the inherent unpredictability of singularities (such as the one in the center of a black hole) by hiding them from our view behind an event horizon. 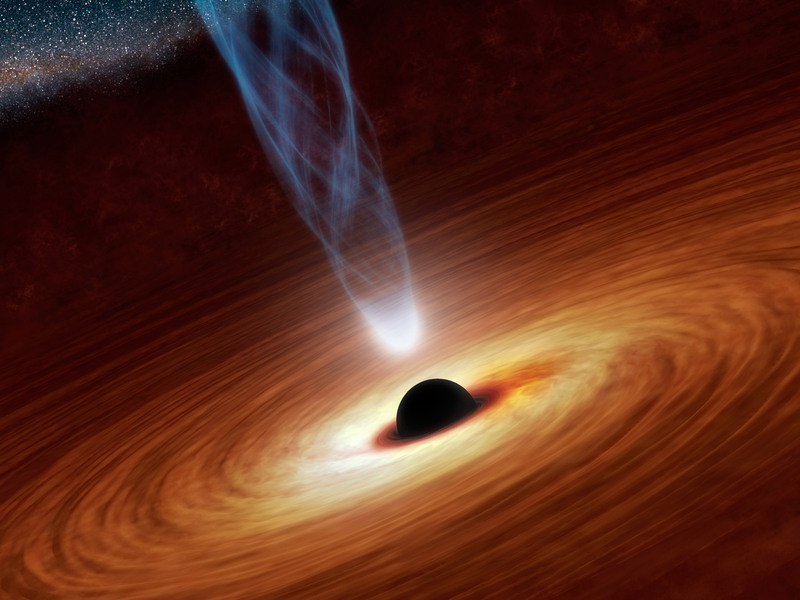 Black holes have intense gravitational pull, constantly attracting matter towards their centers. The event horizon is the boundary point beyond which nothing can escape this gravitational force. Hence we cannot know anything about what exists beyond this horizon because nothing, not even light, can escape to give us information. Proving this conjecture, and a stronger version which Penrose proposed 10 years later, are major outstanding problems within the field of general relativity. Although the mathematics of these conjectures is beyond the comprehension of all but a few specialists, the general implications are easy enough to understand and have become part of popular culture. 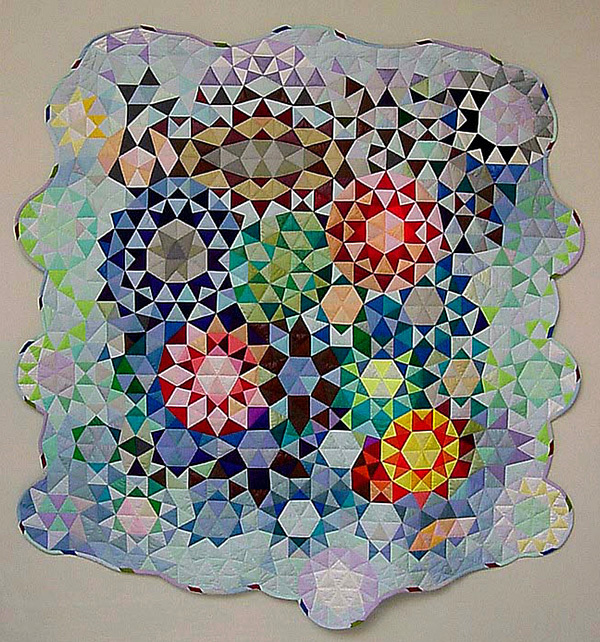 Penrose is well known for his 1974 discovery of Penrose tilings. A tiling is a pattern of “tiles” (2-dimensional shapes) that can be arranged so that there are no spaces or overlaps on a flat surface. Squares and certain triangles are the simplest form of tiling (as you know from the tiles in your shower stall). 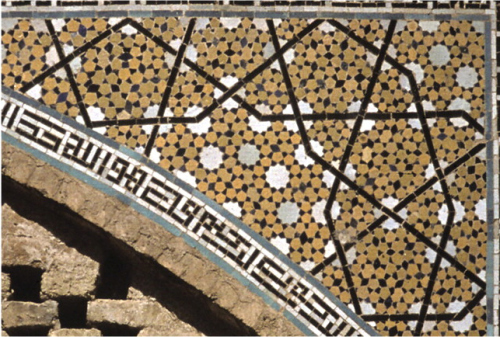 Quilt patterns and tile patterns in mosques are more complicated tilings. 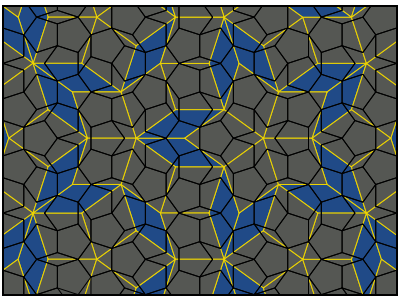 Penrose tilings have two properties. (1) They are formed using only two different shapes of tiles. (2) They are aperiodic, meaning that you cannot copy an area of the tiling on to tracing paper and then shift the paper to another area of the tiling and have it match. In simple, slightly inaccurate, layman’s terms, the local patterns do not repeat. 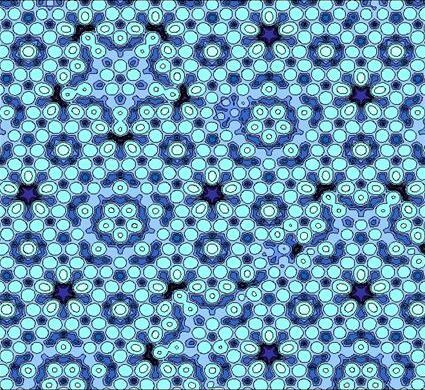 They appear in nature in what are known as quasicrystals, and have become the inspiration for graphic design artists. He was influential in popularizing what are commonly known as Penrose diagrams (causal diagrams). You see them a lot on the white boards in “The Big Bang Theory.” Don’t worry, if you do not understand them; I guarantee the actors don’t have a clue what they mean either. Incidentally, in 2010, Penrose reported possible evidence, based on concentric circles found in WMAP data of the CMB sky (don’t sweat it! ), of an earlier universe existing before the Big Bang of our own present universe. Penrose has written books on the connexion between fundamental physics and human (or animal) consciousness. In The Emperor’s New Mind (1989), he argues that the known “laws” of physics are inadequate to explain the phenomenon of consciousness. I’ve read it at least five times. And now perhaps you get it why so many of my heroes are mathematicians. Admiration from afar. In honor of Penrose tilings I thought a recipe involving cooking on a tile would be appropriate. You can cook anything on a tile that you would grill. Fish is especially good cooked this way. 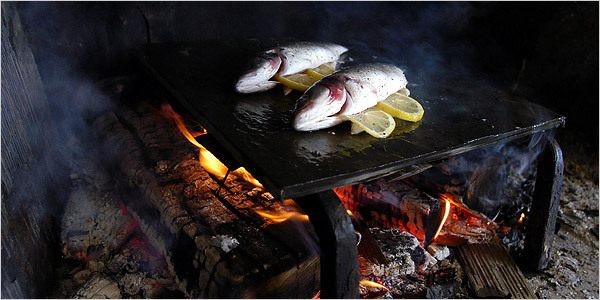 Cooking on slate tiles is common in rustic cooking in France and Spain. 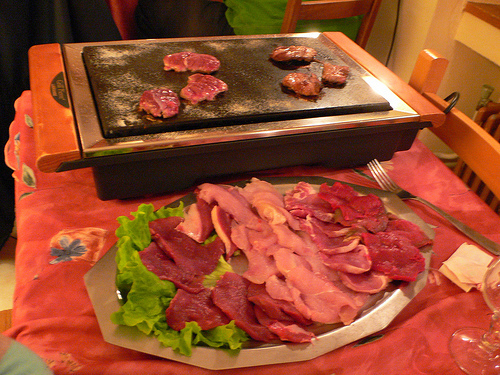 The traditional method, called pierrade, involves heating a thick slab of slate over an open fire, but nowadays there is a modern tabletop version using an electrically heated tile on which diners select from a platter of raw meat and cook it to their own tastes on the tile. Yawn. What I give you here is less about a specific recipe, and more a description of the method which you can play with. You will need two things: a good hot open fire and a thick piece of slate (or bluestone). When I lived in the Catskills in New York State, I had an outdoor fire pit what was no more than a rectangular wall of cement building blocks two blocks high, with several of the blocks on the bottom layer placed sideways so that the holes provided a draft for the coals. Nothing pleased me more, summer and winter, than to build a roaring hard wood fire, let it burn down to coals and then cook away in every possible manner. You name it; I’ve cooked it in that pit: toast, whole pig, beef stew, baked apples, scrambled eggs. One memorable day when my son was about 8 yrs old we spent the entire day by that pit cooking breakfast, lunch, and dinner there, with s’mores (roasted marshmallow and chocolate sandwiched between graham crackers) and various things on a stick as snacks in between. For tile cooking I used a big slab of bluestone (feldspathic sandstone) which was readily available from local quarries. Slate is more universally available. You can get large pavers in home improvement stores in the U.S. and Europe. You just have to be sure that they are untreated; the thicker the stone, the better. They all eventually crack, but thicker ones last longer. First thing you need to do is make sure the tile is thoroughly clean (each time you cook with it). Do not use soap, just lots of water and a heavy brush. Build a good bed of coals evenly spread, leaning the slate nearer and nearer to the fire to heat gradually. If placed cold directly over the coals it will crack. Using oven mits, place the tile on a grate or fire irons directly over the coals, 6” away. Brush the cooking surface with olive oil or cooking oil. It should take about 30 minutes to get the tile ready for cooking. A drop of water placed on the surface should dance and skitter. You are now ready to cook fish, steak, chicken, or vegetables in the same manner as you would grill them. The tile adds a wonderful earthy flavor. Here’s a favorite of mine: herbed fish with lemon. Any firm white fish will do. I’m partial to river trout given that my house was on a trout stream. 4 whole fish gutted and scaled (about 1 lb each). 1 cup fresh fines herbes (fresh parsley, chives, tarragon and chervil). You can used dried, in which case you need 2 tablespoons in total. Rinse the fish and pat dry. Season with salt and pepper inside and out. Place ¼ of the fresh herbs inside the cavity of each fish and then slot in two or three lemon slices. Lightly oil both sides of the fish. Place the fish in the center of the tile and cook undisturbed for about 10 minutes per side, or until opaque, but still moist in the thickest part. As an accompaniment I usually cut open baking potatoes, place a knob of butter in each, and then wrap them tightly in foil. They can be cooked in the coals. Start them about 15 minutes before the fish. Whilst eating the fish you can make baked apples by coring cooking apples, filling the cored hole with butter, brown sugar and sweet spices such as cloves or allspice, wrapping in foil, and cooking in the coals. These usually take no more than 20 minutes to cook if the coals are still hot.